Charlotte is a gem of a city: rich with history, full of arts and culture, teeming with parks and greenways, and the perfect climate. 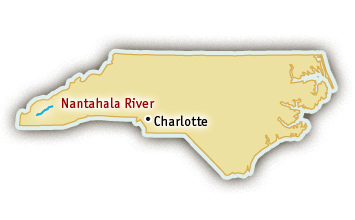 In addition to being the home of the US National Whitewater Center—the largest recirculating artificial whitewater river in the world—Charlotte is only a short drive from one of the most scenic, family-friendly whitewater trips in the southeast. The Nantahala River is a great option for those looking to trade the bustle of city life for the relaxation and excitement of river life for a day. Nantahala River trips star near the town of Bryson City, NC, just three hours from Charlotte. The river runs through the Nantahala National Forest, and is mere minutes from the Great Smoky Mountains National Park. 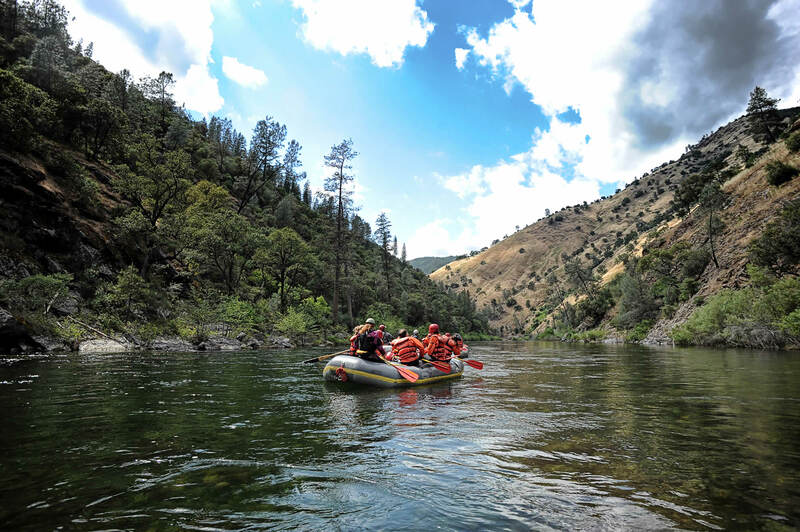 The water is clear, the Class I-III rapids are fun and bouncy, and the river canyon is narrow and scenic. This river is dam controlled, which means there’s a consistent level of water throughout the spring and summer, and even into the fall. Trips take about four hours, and are suitable for anyone aged seven and up—no previous experience required. Some outfitters provide a guide in every boat, while others allow groups to be in charge of their own raft or inflatable kayaks.